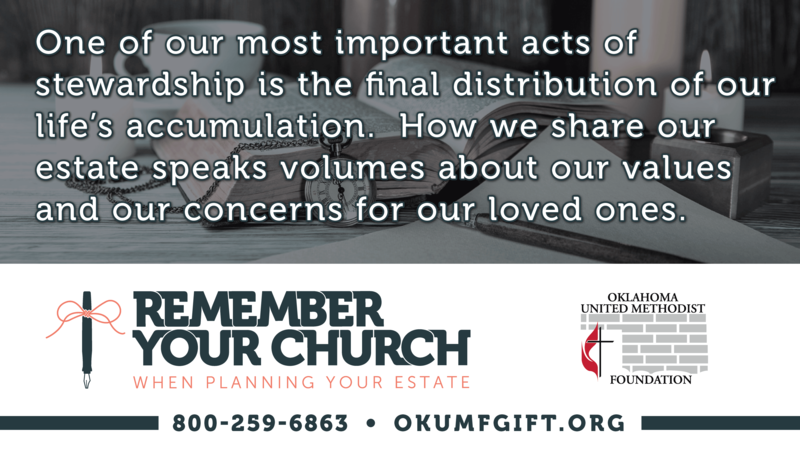 Thank you for joining with us to encourage your congregations to Remember Your Church. Below, you will find various resources to aid in promoting this campaign. If you have any problems or suggestions related to the content provided, please notify Travis Bruno by email at tbruno@okumf.org or by phone at 800-259-6863. If you would like to request additional brochure cards to distribute, please fill out this form below. We will send the completed brochures to this address. No, the provided image works great!Yes, I have the image file ready.Yes, but I'm not sure how to get it to you. 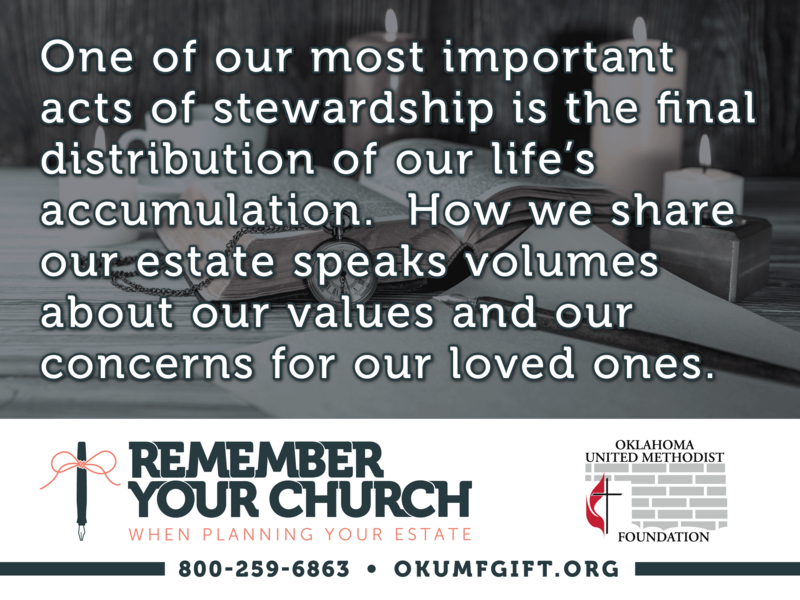 By uploading an image, you claim to own the copyrights to that image and allow the Oklahoma United Methodist Foundation to use the image in production of a publication for your internal/external use.